This Blog On Reverse Mortgage And Lending Guidelines For Homeowners Was Written By Massimo Ressa CEO of Gustan Cho Associates Mortgage Group at Loan Cabin Inc. 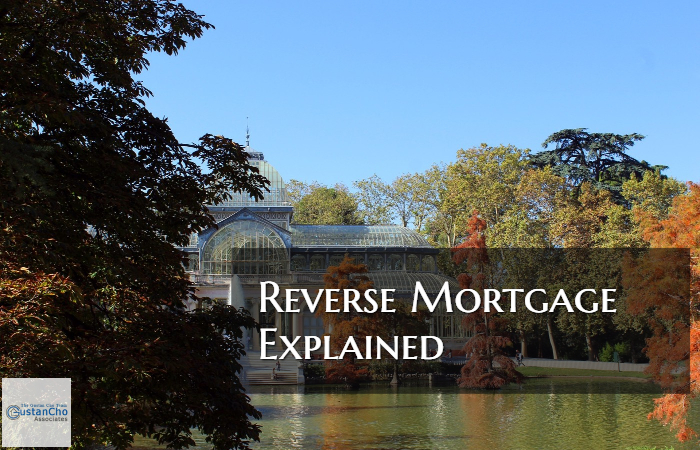 Reverse Mortgage Explained! If you are researching reverse mortgages on Google, Bing, or Yahoo you are probably being inundated with information. However, here is what they don’t tell you. I am only addressing protecting the inheritance and the equity of a senior’s property. First, so everyone understands, a Reverse Mortgage simply works backwards. A Reverse Mortgage works the opposite way. You don’t make payments and the actual interest accumulates because it doesn’t get paid. So if you were to borrow $100,000 at 5% to keep it simple, at the end of one year your balance would increase to $105,000, or your $100,000 principle loan balance plus $5,000 interest for the year at 5%. Many times the heirs, the senior’s children, the grandchildren or the person(s) designated to inherit the property if the borrower were to pass are concerned about inheriting a property that has no equity. Using the above example, the home would accumulate 5% interest a year. This is actually a great investment for the heirs of the Reverse Mortgage client. They will actually protect the equity of their eventual inheritance and many benefit for the Real Estate appreciation. In most cases this is would be a fantastic investment.